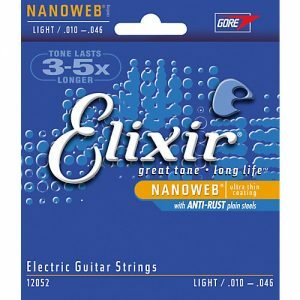 Elixirs are the first major innovation in strings in over forty years, and they deliver what they promise: great tone and long life no matter what you put them on or how often you play. 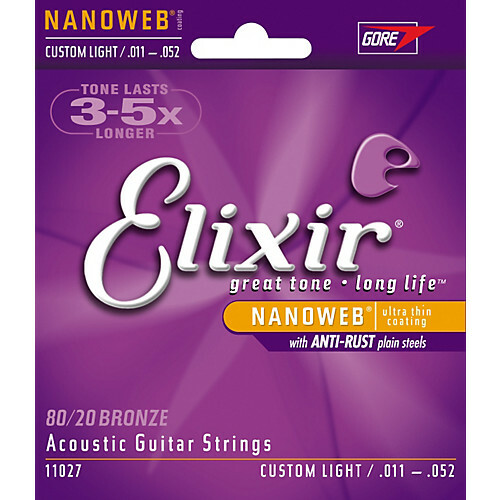 Nanoweb coating permits strings with the feel, bright tone, and punch of traditional strings. 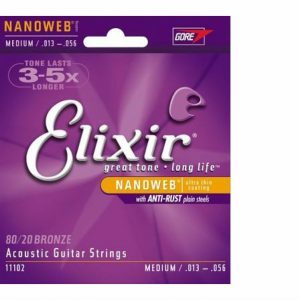 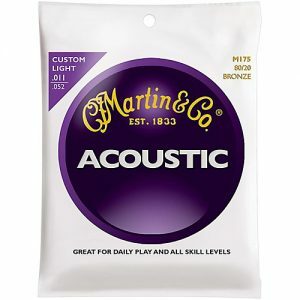 Elixir Acoustic Guitar Strings are covered with an ultra-thin, space-age polymer tube that contacts the string on the tops of the windings only. 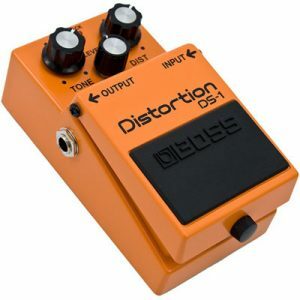 This leaves the all-important winding-to-winding-to-core space free from the fear of the enemies of tone! Most players report that Elixir Strings keep sounding great 3 to five times longer than ordinary strings.